A good quote will often be enough to get you or your key spokespeople into the paper, but a good quote together with a good picture will have more than double the impact. 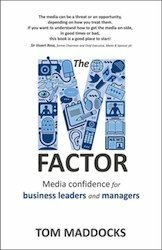 Newspapers and websites are more likely to use a quote – or mention a product or service – if there is a strong and authoritative image of that individual readily available. 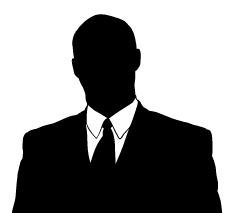 Most big companies have some existing images of their key communicators, but these often fail to do their subjects justice, and will often be rejected as “just another man in a suit” by the paper’s design and picture desks, which have an increasing amount of influence on the final version of an article and its prominence in a publication. Sometimes, when a piece has to be shortened for space reasons, the quote that doesn’t have a good image to go with it is the one more likely to be taken out. I talk to many ‘print’ journalists who tell me they are astonished at the poor quality pictures often supplied by organisations they deal with, images that cannot be used either in print or digital editions. What looks fine on the company website will look blurry and low-impact on the printed page. For these purposes, a high resolution image is needed of at least 300 dots per inch (dpi); however that will be several megabytes, much too big a file for the digital edition, so it is best to supply a ‘low-res’ version as well, that will look fine on the screen and load quickly. A good photographer will provide both for you; it is definitely worthwhile employing one to take some stylish shots of your spokespeople, which can be used either as the main image to accompany a piece, as a cut-out (that is where the person’s outline is cut out and placed in the body of the piece) or as small head shots. By the way, don’t try e-mailing a big file to a newspaper, it will often get stuck in their security system – make it available as a download, or through a service such as Dropbox instead.